← Can you live without Plastic? What’s Transition Towns All About? Come join us for a screening of the new Transition movie and see what’s happening all around the World. 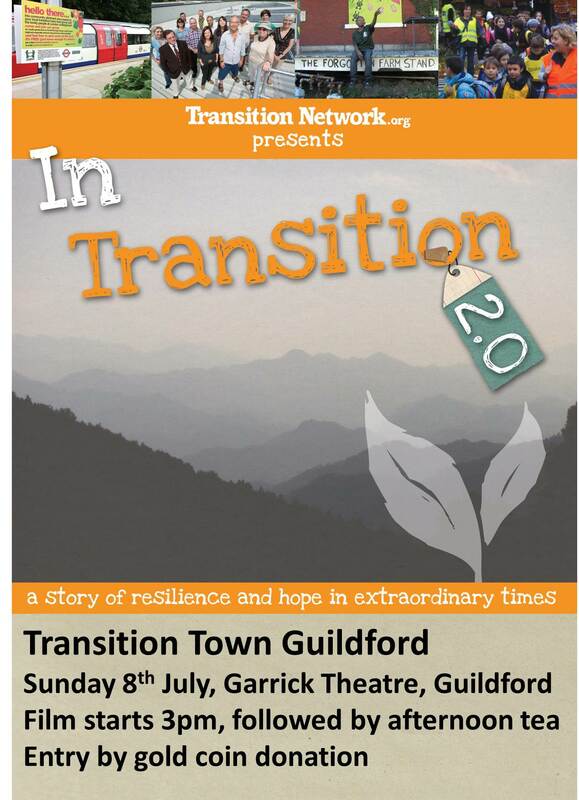 Find out what Transition Town Guildford is doing and how you can get involved. When: Sunday 8th July, film starts 3pm. Entry by gold coin donation, afternoon tea provided. This entry was posted in Climate Change, Event, Movies, Peak Oil, Uncategorized and tagged In Transition 2.0, Transition. Bookmark the permalink.